Our new <TOG*>-RETRO devices are a direct plug-in replacement for the originals. They operate from 5-16v and have a 10kHz-16MHz input clock range; both of which exceed the original specification. 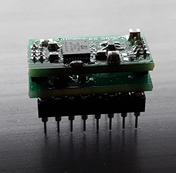 They are made possible by using FPGA (Field Programmable Gate Array) technology which in recent years has become small enough to use in devices of this size. There is a double stack of PCBs, the top one of which is a 4-layer board. Unlike our FK50240 top octave synthesiser, the top octave generators only provide the original tuning. The 50240 is pin- and function-compatible with our MK50240-RETRO and this is available to purchase below. 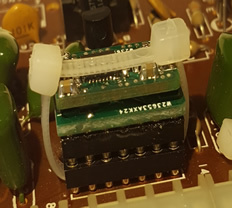 Pins not making contact properly? Could be a socket issue...Click the image for the solution!